Stevens and Begich – The Counting Continues. Another day of counting has begun. What started on election day as a 3200 vote lead for convicTed Stevens, swung to an 814 vote lead for Democratic challenger Mark Begich on Monday when a huge stack of absentee and early ballots were counted. Today is round two. Here’s what will be counted today. 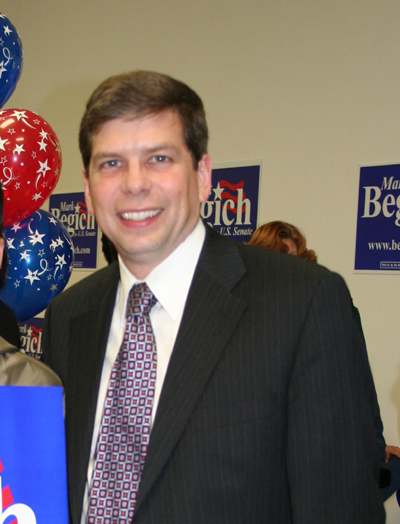 Begich made a big push for his supporters to vote early. Also, Republicans believe Stevens got a boost when he returned to Alaska from his trial less than a week before the election and began rallying supporters. People who voted earlier would not have been part of that lift. Stevens’ supporters think he can come back as more absentee votes cast following his homecoming are counted. Still, the fact that the votes are coming from Begich majority districts leave the Democrats’ supporters quietly optimistic. Yes, one can only imagine how many of those who were on the fence decided to align themselves with the convicted felon after his inspirational, and victorious homecoming from the trial. 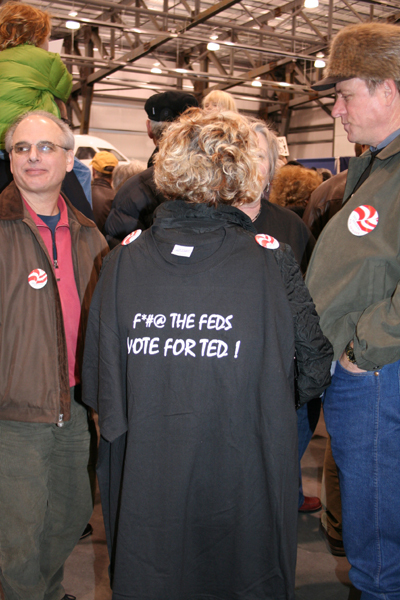 An image from the inspirational Welcome Home Ted rally. On Monday, the Division of Elections released one batch of numbers during the day, and the final tally at about 8:30pm. It’s anyone’s guess how they’ll release the information today. Stay tuned. Latest Alaskan Numbers and Palin’s Potential Senate Run. So, IF Ted Stevens gets re-elected, and IF he gets expelled from the senate, we will have a special election to fill the seat. Any takers? In an interview today with Wolf Blitzer (I wonder if she had an urge to shoot him from a helicopter?) Sarah Palin said that she feels as though she has a “contract with Alaskans” to continue to serve as governor, but didn’t completely rule out a run for the U.S. Senate if there was an opportunity to do so. So obviously a lot hangs in the balance in this Senate race – not only another potential Democrat in the Senate, but whether Sarah Palin will gain a foothold in Washington. The first batch of uncounted ballots will be finished tonight. 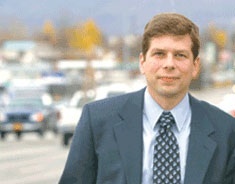 The official count from the Division of Elections has Democrat Mark Begich leading ConvicTed Stevens by THREE votes. There are about 10,000 ballots scheduled to be counted today, and nobody is going home until it’s done. There are about 35,000 more ballots to be counted in the next week. Ethan Berkowitz has made up a little ground on Republican incumbent Don Young but still trails by 15,710. There are 90,000+ ballots to be counted, and more coming in every day. 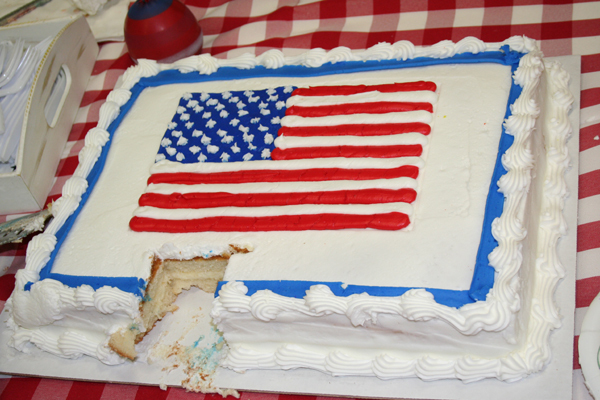 Today the state will count 42,991 of the absentee ballots and 9,333 of the early votes. The rest will come later, hopefully by Friday. But no promises. The districts that will not be counted today seem to be favoring Begich. So even if Begich does not overtake Stevens in the vote count today, those remaining districts still leave hope. An automatic recount is only triggered if the votes are exactly the same. However, candidates, or a group of 10 citizens can petition for a recount if the votes are within one half of one percentage point of each other. And, of course, we’ll be looking to see if the House race, or local races take any significant changes. Two wonderful local Democrats, Pete Petersen and Chris Tuck are both ahead but by a very slim margin. It’s 2:00 in Alaska, and still no numbers coming in. We weren’t sure if the numbers would come in one lump sum at the end of the day, or if they would release results throughout the day. I’m guessing if we haven’t seen anything by now, we’ll get the final daily tally this evening. UPDATE: Ted Stevens lead has now shrunk from 3300 to 971! Tuck and Petersen are holding their own. More to come. UPDATE 2: Begich is up by 3 votes!! !